Exactly one week ago, all we knew about Brett Kavanaugh’s personal conduct was that one woman had accused him of sexual assault 35 years ago when they were both high school students; and that Kavanaugh denied the allegations. Well, a lot can change in one week. Today we have a broader collection of allegations against Kavanaugh; and a better understanding of how Kavanaugh and his defenders in Congress dispute those allegations. Together, they give corporate compliance officers even more food for thought about one of the most vexing questions companies face: How should you sanction senior executives accused of personal misconduct from long ago? In my first post about Kavanaugh last week, I said that question gets to the subject of redemption — the idea that even if someone had committed personal misconduct, an organization might decide not to hold that against him if the individual had demonstrated some sense of remorse, awareness, and sincere growth into a more ethically aware person. Corporations do sometimes face that dilemma. You have a professional up-and-comer in the organization, someone raises allegations of personal misconduct from some prior time that can’t easily be proven or disproven, and he seems to be an otherwise upstanding person. What does the company do? One week ago, people could still say that perhaps Ford’s allegations against Kavanaugh didn’t disqualify him from a seat on the Supreme Court. All we knew was that one woman had made one allegation of awful behavior, long ago. Perhaps Kavanaugh could demonstrate a humble, more mature awareness of action and consequence. That would have been enough to get him across the political finish line. Now we know other women were preparing to come forward last week with assault allegations; and that Kavanaugh and Republican senators knew those allegations were coming. Hence the rush to another hearing into Ford’s allegations, while Kavanaugh engaged in a scorched earth defense and accused Ford of lying. That would only work if Ford were lying, or were the only accuser. Now we know she isn’t the only accuser, which makes it all the more believable that she isn’t lying. Which makes Kavanaugh look all the more squirrelly, evasive, and desperate. What we have, essentially, is new misconduct from Kavanaugh: a shameless grab for power at the expense of due process and ethical principles, because trouble might be looming. What we have, essentially, is new misconduct from Kavanaugh: a shameless grab for power at the expense of due process and ethical principles, because trouble might be looming. It’s not illegal, but it’s terribly poor judgment — which is a big deal when the job in question is to be one of the most powerful judges in the land. I have no recollection of the assault Ms. Ford alleges. It doesn’t sound like me, I haven’t done anything like that since, I would be horrified if I did do it, and to the best of my knowledge I did not do it. This supposed assault was a long time ago, and apparently we were both drunk, so if this happened I profoundly apologize. The rest of my record, both personal and professional, speaks for itself. 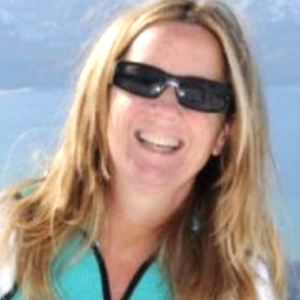 But Ms. Ford deserves justice, so if she wants an investigation, let’s call the FBI and do it. That’s maturity and self-awareness. That’s sincerity, humility, and empathy. That is the demonstration of ethical principles that an executive should show, if an organization even wants to entertain the idea of allowing his career to proceed, let alone actually decide on that path. More to the point, that answer is also wise because it still holds even if Kavanaugh didn’t assault Ford. Does this person allow the accuser to state his or her allegation freely? Does this person allow a third party to investigate and pass judgment fairly? Is this person confident enough to let his or her deeds speak for themselves, rather than whip up the masses in defense? If you can answer “yes” to all three, you might have someone worth redemption and forgiveness. Kavanaugh, alas, fails on all three prongs.